Project Ghazi trailer is out and as expected, it has the audience in its grips. Just as the teaser managed to capture interests right away, showcasing Hollywood worthy visuals and imagery, the main trailer of the movie has us hooked, waiting eagerly to get more insight on this first super hero movie effort from our very own country. The approximately two minute long trailer shows how an investigative scientist, (Syra Shahroz) is studying blood samples from a few soldiers, handpicked for Project Ghazi. The blood samples show some qualities extraordinaire possessed by the soldiers. One of those soldiers however, goes rogue. 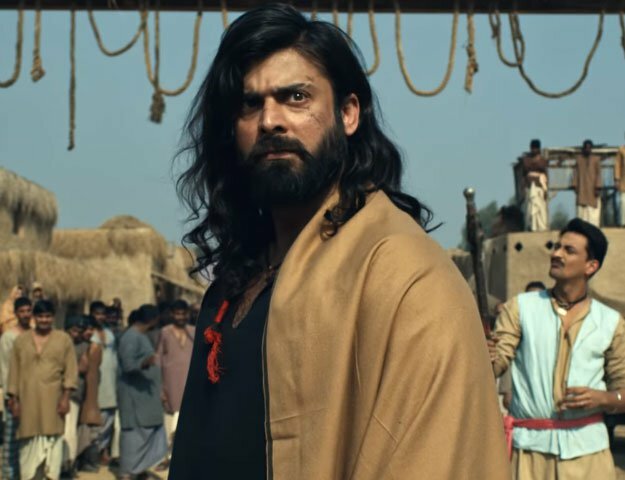 Adnan Jaffer, plays Qataan and shines bright as Pakistan's first super-villain. Sheheryar Munawar and Humayun Saeed look great in their respective roles. But the gal of the film has managed to wow us with just the trailer itself. Without a doubt, Syra Shahroz has managed to hold her presence, coming clear as a beautiful. strong-headed and ethereal scientist who knows her job. It'll be a refreshing treat to watch Syra channel this scientist attire, because she sure does look the part in the trailer for the film. The plot is fast paced, filled with visuals that fairly impress the audience. Not much is given away so there still remains some mystery as to who the characters are and how each of them will evolve. We're waiting for Project Ghazi to release ASAP and 14th July seems a bit too far away to contain our excitement.